Ridiculously gorgeous – the Miss Dior Soft Pouches were released a few months ago, adding another lady bag to the iconic line. The design is separated into two parts – first the ‘Cannage Stitching’ is embellished all over the bag except for the top flap, which is introduced in smooth leather. While the name ‘pouches’ has been chosen, but in reality it’s a small shoulder bag and somewhat bigger than the WOC’s (Wallet On Chain Bag). 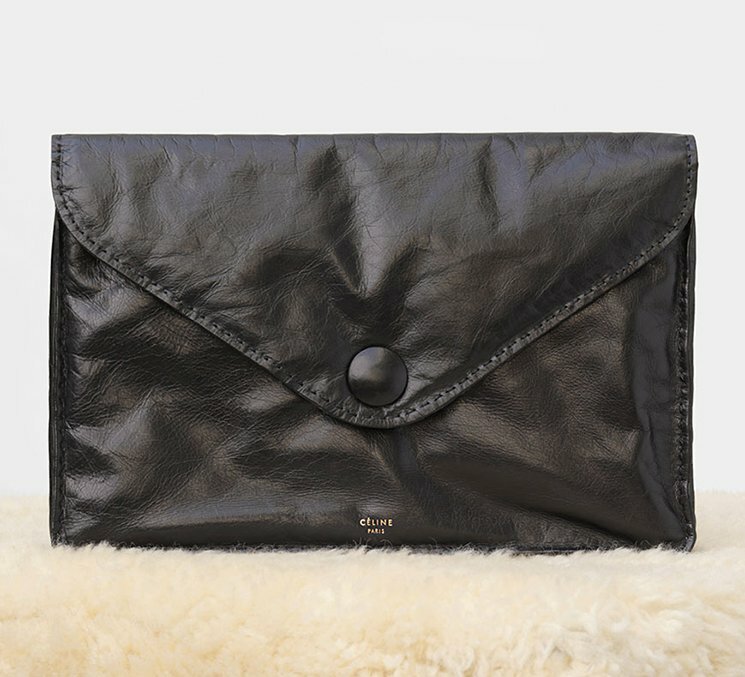 You can carry it by hand like an evening clutch, but it does come with a 20 cm shoulder chain. The shoulder chain can be removed anytime you want. So sling this bag around your shoulder from day to night. And flaunt with the House’s iconic clasp wherever you go. The Dior Soft Tote has been altered and mostly in the interior. The latest version is embellished with a zipper that goes to the sides, making it easier to access open pockets. The older version will slowly vanish from the stock, they will not be produced anymore. And now back to the story. Now presenting the Dior Soft Tote Bag with Cannage Embroidery, a new style (well, not entirely new). The Cannage stitching has always been the icon of Dior and it has been featured in many Soft Tote Bag (in all sizes and colours), even in the Dior Soft Flap Bag. But once a while, Dior comes with something unique that’s different than the original version. Instead of small diamond patterns lining up to each other, the Cannage Embroidery diamond patterns are larger. And if you screen through our Dior Classic Bag Collection article, you will notice that it’s almost like the same design as the Dior Granville Bag (Tada!). Whether it’s the Cannage Stitching or the Cannage Embroidery, they are both magnificent. Both represent the reinterpretation of Dior’s emblem. The Dior Soft Tote Bag is practical and timeless, the perfect accessory for every errand an occasion. You should have already read the first post on Chanel’s Soft Leather 2.55 collection, an icon in its own right that quite literally has been given new skin. And the skin in this case refers to the ‘soft leather’ you’ll find on these 2.55 bags that should be launched sometime in Singapore come June 2016. Why is this leather so special then, you ask? Well, for starters, it’s cut only from a certain portion of the entire skin, where it’s the softest and also has the fewest imperfections for that almost flawless finish. It’s also lightly-treated, meaning when it came to treating and tanning the leather, not that much was done, which would allow the leather to patina most beautifully over time. Or in layman’s terms, age. So unlike leather that has been botoxed and varnished to a hilt (you know, like the ladies you see when you flip through society magazines), this leather, like the real you, is supposed to age over time, and take on characteristics unique to its owner, from tiny nicks where your pinky’s nail digs into the side of the bag, to minor creases that resemble the crow’s feet on your face. Ok, maybe not the best way to sell any leather bag, but you know what I mean, and if you’re big on that whole aged, vintage look, rest assured that this will happen slowly but surely with this 2.55. And because I managed to spend quality time with these beauties over the weekend, here’s the rest of what you need to know about these 2.55 bags. For starters, one of the versions we’ll get in Singapore will come with a two-tone grosgrain and chain trim that will run along from underside to the sides of the bag. Then there’s the metal chain sling, which, if you look closely enough, comes beautifully-etched on the sides of the metal pieces. The cameo charms that come with each bag? One’s of Coco Chanel herself, the other is a lion, which also happens to be the Coco Chanel’s zodiac sign, the Leo. Then there’s the inside, each 2.55 double-flap bag lined with tactile suede, where you’ll find a front pocket and a larger compartment on the back with 3 separate patch pocket compartments. A flap with button closure keeps everything secure, before the main flap goes over everything else for that added bit of ‘security’. To finish it off, Chanel’s reassuring Made In France label is sewn below the CC logo that’s stitched onto the flap. Last, but by no means least, there’s an additional patch pocket on the back of the bag, but I guess you already knew that. What you don’t know is the two colours it will come in when it is launched sometime in June this year, the first, a Navy that you see in the first snap, and this, which is a warmer, slightly darker colour they are calling Camel. 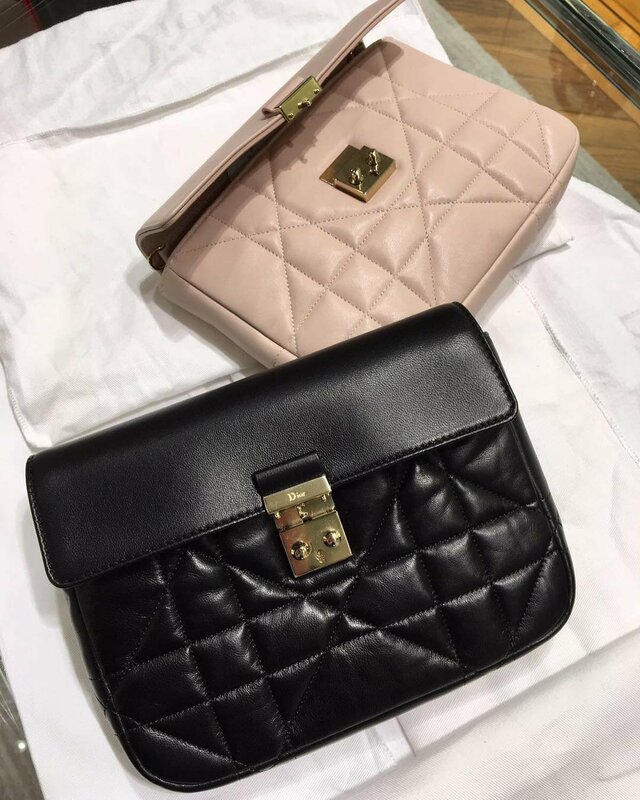 Both colours are gorgeous, you just need to decide when you see the 24 cm by 16 cm by 7.5 cm bags (priced at SGD7280 each, by the way) in Chanel boutiques in a couple of months.